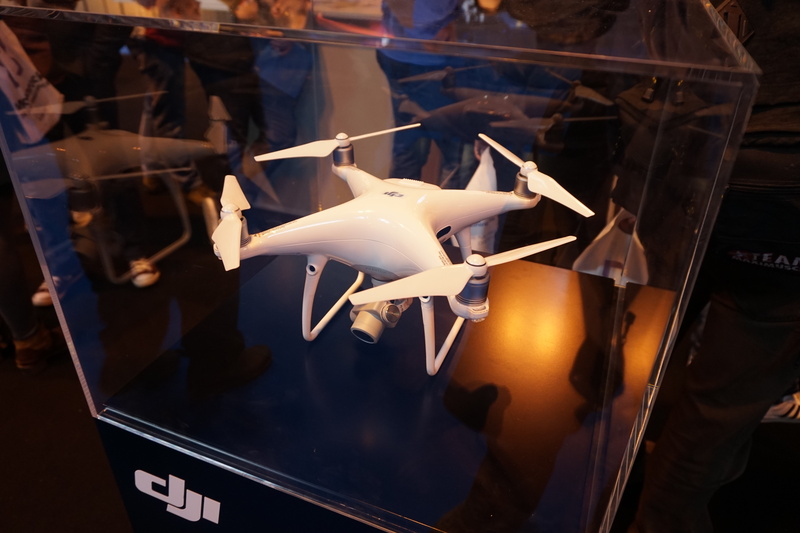 The DJI stand held two of their new models. The Mavic Pro is a portable system with collapsible arms allowing it to fit into a small backpack. Its’ FlightAutonomy technology allows obstacle avoidance and hover precision, while ActiveTrack allows the drone to follow the subject matter with a number of different shooting modes. It comes with a 3-axis gimbal and 4K camera. It is available for pre-order for £1,099. Improved camera with a 1-inch 20 megapixel sensor from a 1/2.3 inch 12.3 megapixel sensor on the Phantom 4. Stereo vision sensors on the rear of the drone in addition to the front facing ones that were on the original. New infrared sensors on the left and right of the drone. The Phantom 4 Pro costs £1,589, while a version where the remote controller has an integrated screen costs £1,819. A new combined thermal and RGB camera for the Typhoon H drone was available. A number of technologies under development were on view in the Innovation Zone. 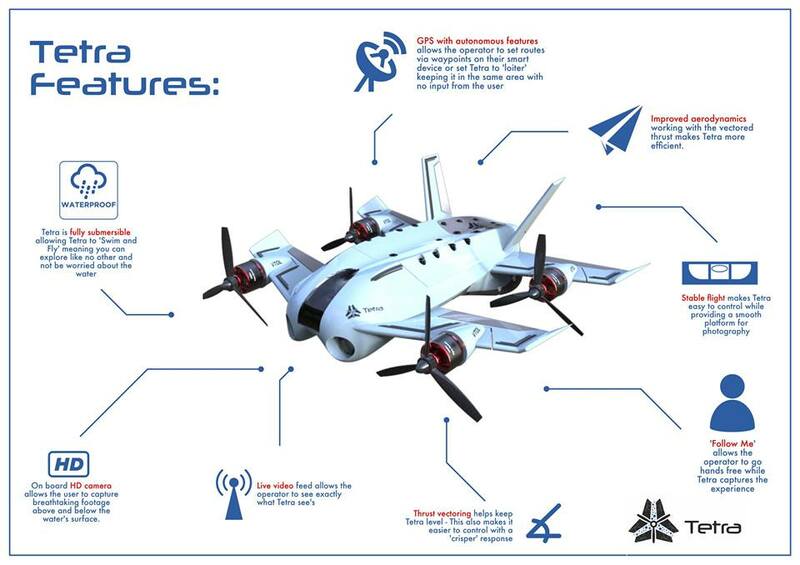 An interesting concept of combined drone and submersible, changing the type of propeller allows the drone to either fly or go underwater with the body being watertight. Available for funding soon on Kickstarter. 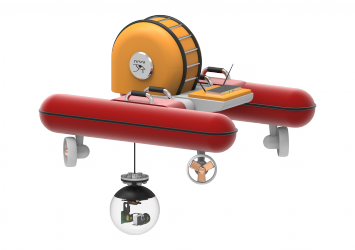 An innovative modular underwater drone by van Dijk FEM engineering B.V. with a camera and a crab module for removing material from the sea bed. Another innovative technology was droneball, which was a drone fully enclosed in a cage stabilizing system which protects the drone and its surroundings from damage as it flies around, it either fly or roll along the ground. The droneball is getting launched on indiegogo on the 8th of December. This entry was posted in News and tagged camera, cgo-et, dji, mavic pro, phantom 4 pro, seadrone, tetradrone, thermal, yuneec. Bookmark the permalink.